Ah pens. I’ve written about pens before on this blog, but I want to revisit them. Because I adore pens. Pens of all kinds. I have my favorites, the ones I use all the time, but I collect pens too, especially if they are unusual. I may never use them, but they will look very pretty in my pen holder! Even today, when most of our work is done on computers and our cell phones have notepads and voice recorders built in, pen lovers still lust after pens. Even now, when I barely write anything on paper at work, I have about 15 pens on my desk, and countless notepads (that’s another blog entirely) that I never use! Pens engender very strong feelings amongst their owners, and our customer’s are no different. They are very precise in what they order and what they want, and can talk pen-lingo like they work in a Papermate factory! I’m not even that well-versed! 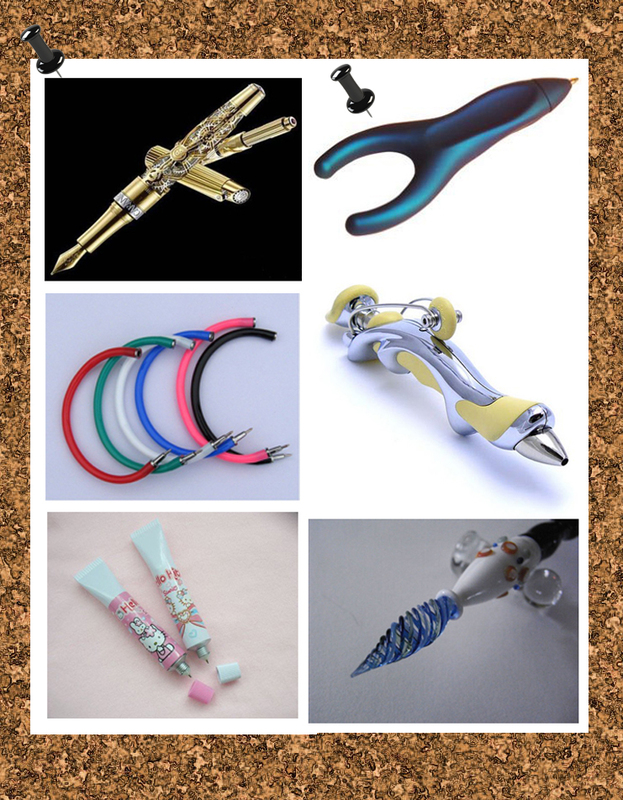 Today, though, I’m going to show you some unusual pens – glass pens, ergonomic pens, goofy pens and even nostalgic pens (who remembers bracelet pens?). I hope you enjoy! Previous Post Entertainment for the Masses!